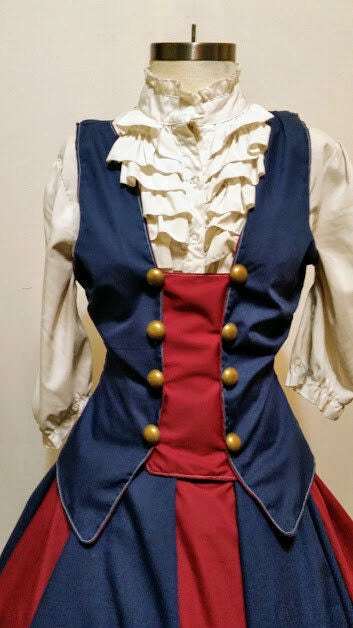 Beautiful Military Style Women's Steampunk Vest custom made to your size. 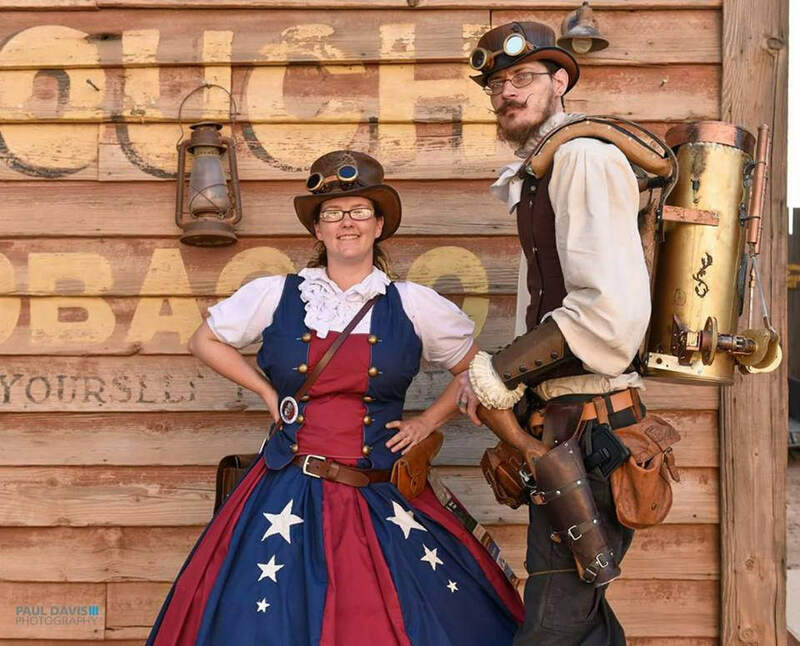 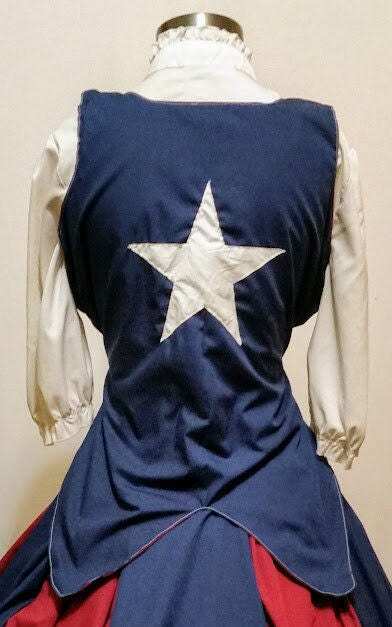 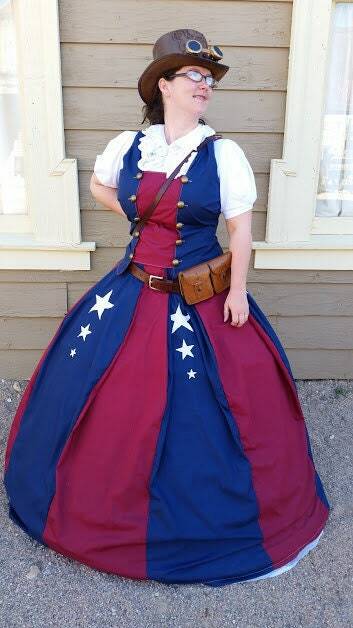 Great for Bioshock Infinite cosplay, female Uncle Sam, steampunk, Captain America, independence day, or any other major event. 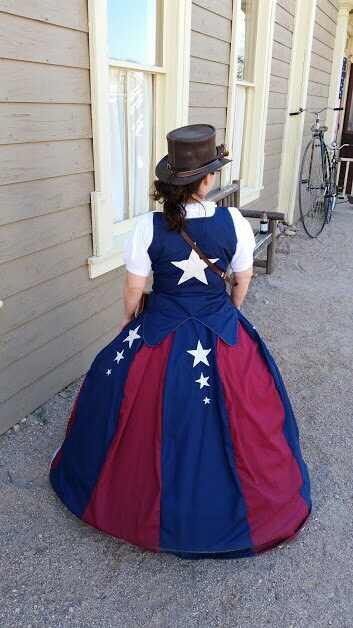 The original was worn to Wild Wild West Con in Tuscon Arizona and won accolades for its design.